What a (carroty) day! - Just Veg. Our 2018 Just Veg. Carrot Day was big. Very, very big. Thank you so much to everyone who took the time to visit our farm and factory, we hope you had as much fun as we did. If you missed out on a spot, don’t worry we’ll be doing it again in 2019, during Scenic Rim Eat Local Week in the June-July Holidays. Check our website or Facebook page in May for ticketing information. Here are some photographs from this year’s event. If you’re in one of the images please tag yourself. 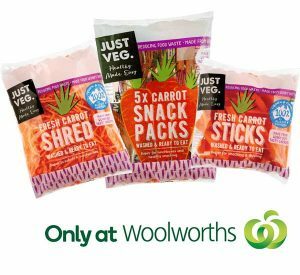 Until next year look out for us at the supermarket – you’ll find the Just Veg. 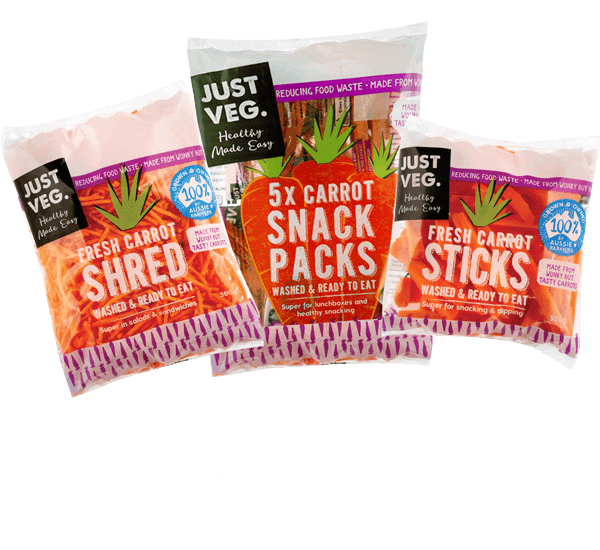 cut carrot range in the ready-to-eat salad section at Woolworths.